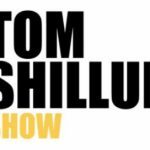 Every weekday The Tom Shillue Show features host Tom Shillue’s comedic insight and analysis on the days trending topics as well as interviews with special guests. Shillue, a stand-up comedian and former host of FNC’s Red Eye, joined FOX News Channel in 2015 and remains a contributor to the network. Previously, Shillue was a correspondent on Comedy Central’s The Daily Show with Jon Stewart and has also appeared on NBC’s The Tonight Show with Jimmy Fallon.